Click on the book covers below to find out more or go to the Books and Plays pages on this site. There's also a page about my new book, a magical fantasy for middle-grade readers. Its working title is The Youngest Spellbinder and I've almost finished the first draft. Does the drive for publicity never end? 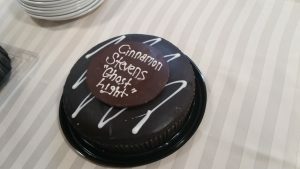 My latest attempt is reading extracts from the two Cinnamon Steven's books on the Narratives Library website. The site is a great idea, covering a whole range of books. To hear my contribution go to http://www.narrativeslibrary.com/young-readers/ and scroll down. 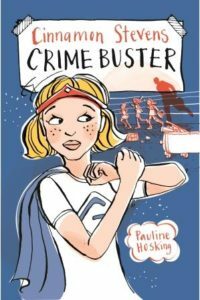 Just finished two school visits for Book Week. Great fun. Upwey South and St Thomas More Primary Schools should be proud of their lovely students. Had a marvellous time running a workshop titled Whodunnit! at Belgrave library for fourteen keen young writers. 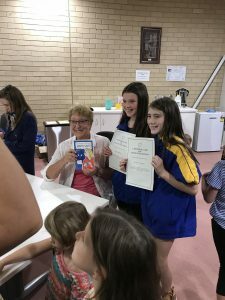 Just when I thought I should concentrate on my next children's book, I hear from the Australian Script Centre that two of my plays are going to be performed this year! One in August in Queensland, and one by a community theatre in New Zealand in July. I've gone international! The play for Queensland is My Bed is a Crocodile about a teenage boy with schizophrenia. The New Zealand production is Blood and Bone, a play for adults about menopause. For more information on these and my other plays go to the Plays pages on this site. 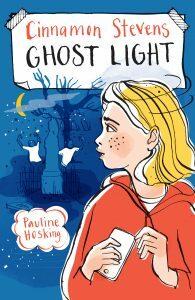 Oh, and Ghost Light has been added to the Victorian Premier's Reading Challenge booklist for Grades 5 and 6 - joining Crime Buster. May has been a good month so far! 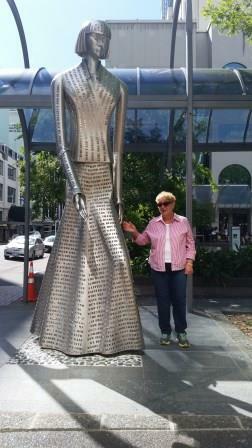 That's a statue of Katherine Mansfield in Wellington. Good to know the country of her birth value her amazing short stories. In the next pic I'm fighting an Orc from Lord of the Rings at Peter Jackson's Weta Workshop. 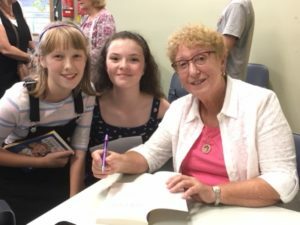 In August I received an email from one of the girls who attended my Belgrave writing workshop. She chose to dress up as my character Cinnamon Stevens for a Book Week event at her school. I went singing about the house all day! July had a fabulous trip to Sri Lanka. 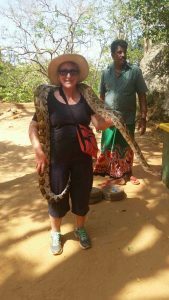 Yes, that is me in the pic with a python wrapped around me. I had managed to climb to the top of Sigiriya Rock and was feeling pretty invincible. 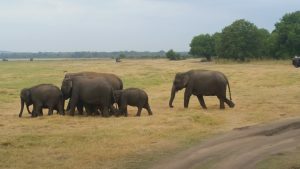 Saw lots of elephants during the trip, water buffalo, mongeese (mongooses? ), monkeys, spotted deer etc. - but even though I spent EIGHT HOURS in a jeep on safari I did not see a leopard. 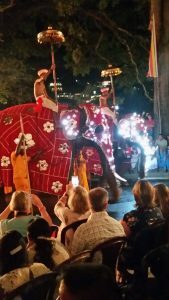 The highlight was attending the Kandy Festival, an amazing procession full of whip crackers, fire throwers, dancers and elephants. It happens for two reasons. One is to petition the heavens for rain. 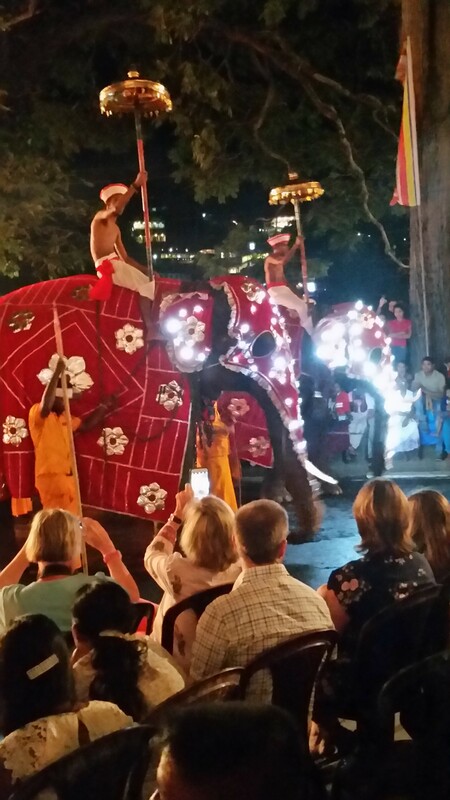 The other is to show reverence to the tooth relic of Buddha, which was brought to Sri Lanka in the fourth century. The tooth (or a copy) is enshrined in a jewelled casket and carried by a tusker elephant (see the third picture). Interesting fact - the tear-drop shape of Sri Lanka has become the shape of the island Esk in my new, work-in-progress novel, The Youngest Spellbinder. 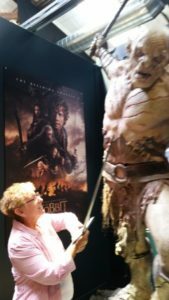 Strange how we link things from real life into our stories.